Kristina baked these awesome inauguration-themed sugar cookies this past weekend. They’re totally delicious and I’m hooked on them. Each one tastes like a little, teeny-tiny cake. 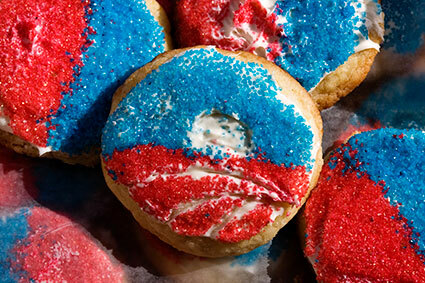 Hopefully Obama’s next 4 years will be as sweet as these scrumptious treats.